You’ve got people coming over for a party and you want to play some games. Someone will inevitably suggest Cards Against Humanity, but we think we can do a bit better than that. (Especially if you want to include the kids.) These games are perfect for (nearly) any age and are simple enough that a whole group can learn quickly so you can get to the fun. 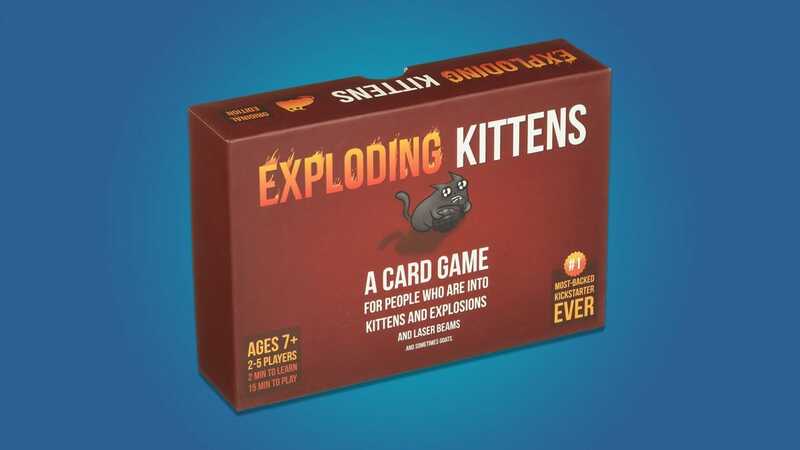 Created by webcomic artist Matthew Inman of The Oatmeal, Exploding Kittens is perhaps best described as hot potato meets Uno. Players take turns drawing cards from a deck in the hopes of avoiding the dreaded exploding kitten card, at which point they’re out of the game. The other card you draw give you options to skip your turn, force other people to draw more cards, or see the next few cards in the deck. Since this is from Inman, the art style and card text is outrageous and hilarious. For example, you don’t just skip your turn, you “engage the hypergoat.” Despite the outlandish style, The basic version of the game is still safe for players of all ages. If you really want a more adult version for your grown up friends, there’s a black box version for you. You can even buy both and mix their decks together for a bigger game. 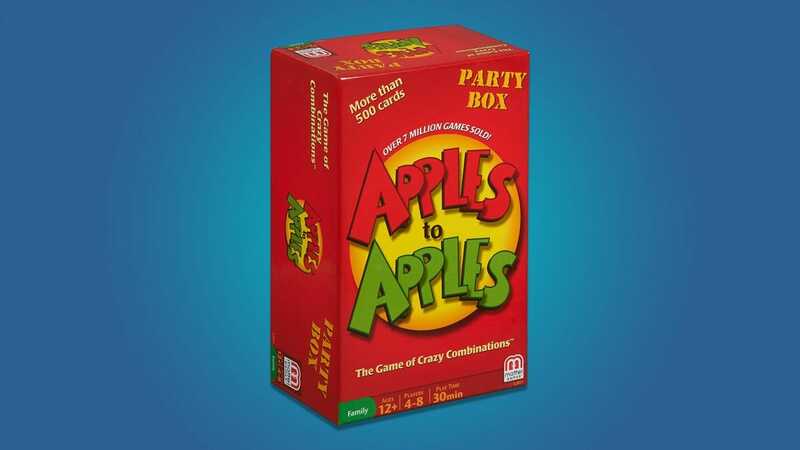 The original party game that spawned countless clones, Apples to Apples is a simple game with innumerable possibilities. On each turn, one player lays down a green Description card with a word like “colorful” or “dorky.” The other players then each lay down a red Thing card that they think most exemplifies that descriptor. The combinations can get absurd, leading to laughs or cringes. The player who chose the green card gets to choose the one they like the most that round as the winner. This game is one of my personal favorites. 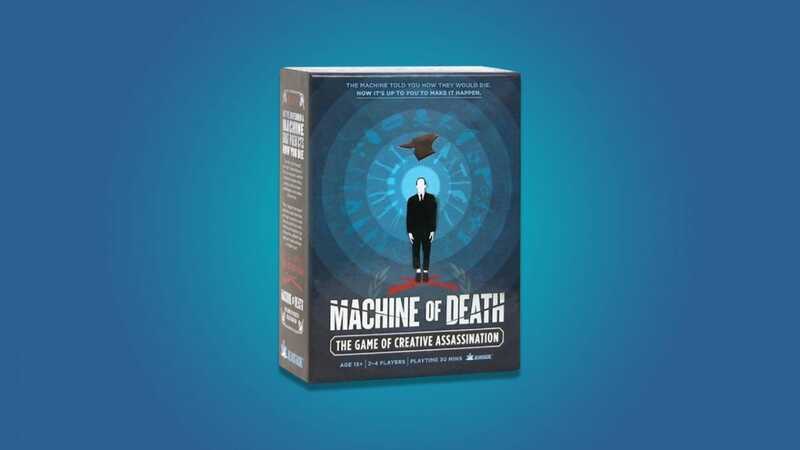 Created by writer and webcomic artist Ryan North, Machine of Death: Creative Assassination takes place in a world where everyone knows how they’re going to die. You play as an assassin who has to take out a target, which is a bit harder to do when they know what to look for! Players are given cards for items they can use to set up their elaborate trap such as “Some kind of baby” or “Stuff your mother warned you about” and work together to create a plan that could work. One player acts as the game master, rating how likely a plan is to work and rolling dice to see how successful your assassination attempts are. 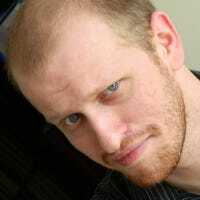 The game focuses less on winning and more on telling elaborate and creative stories. It encourages clever interpretation of cards as well. For example, the “Some kind of baby” card could mean a baby carrot, or someone who is going to die of “old age” could be killed by an elderly person driving a car. The game takes a very silly approach to its subject matter and is largely suitable for most ages. Except for, you know, the topic of assassinations. Depending on how mature your kids are, this might be better for your adolescent children or some really creative adults. 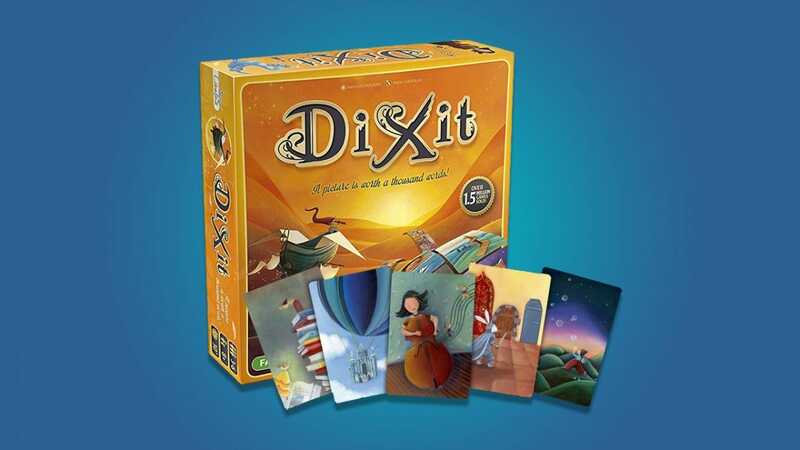 In a refreshing change of pace, Dixit is a storytelling game that relies less on verbal imagery and more on actual paintings. Players in this game take turns being the “storyteller” and choose from a card in their hand, each with a vivid picture on it. The storyteller chooses a word or phrase that describes the card they have. Other players then choose cards from their own hands that they feel best represents the word or phrase the storyteller picked. All the cards are then shuffled together and everybody tries to guess which card belongs to the storyteller. This clever concept exercises different creative muscles than most tabletop games, making it a fun way to mix it up on game night. 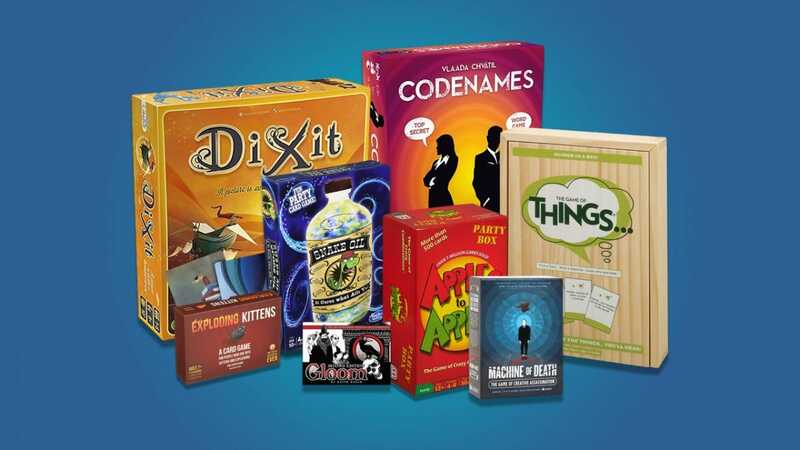 If you like deception, subtlety, and hiding in plain sight, Codenames might be for you. 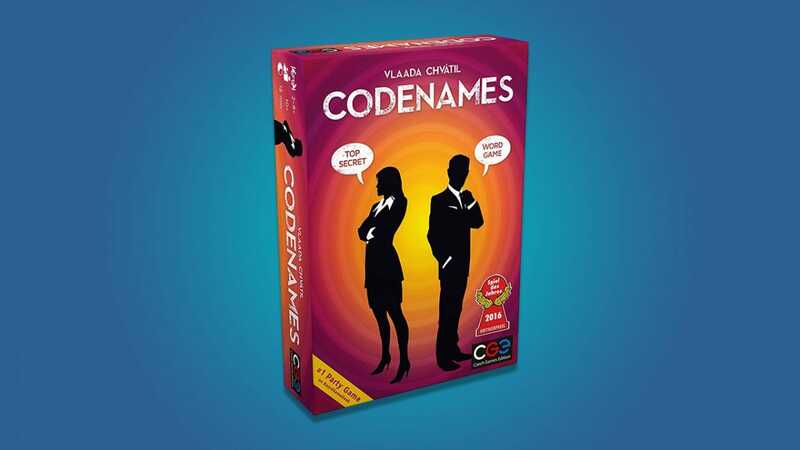 Two players are rival spymasters who know the names and codenames of a network of secret agents. Other players join one of the two sides and try to make contact with everyone in their team’s network of agents. The spymaster gives one-word clues that can apply to several agents on the field, and players have to figure out which agents to trust and which ones to avoid. It’s a cooperative and competitive game of communication where trusting the wrong person can have devastating consequences (like losing the game). A good salesperson can sell anything to anyone. 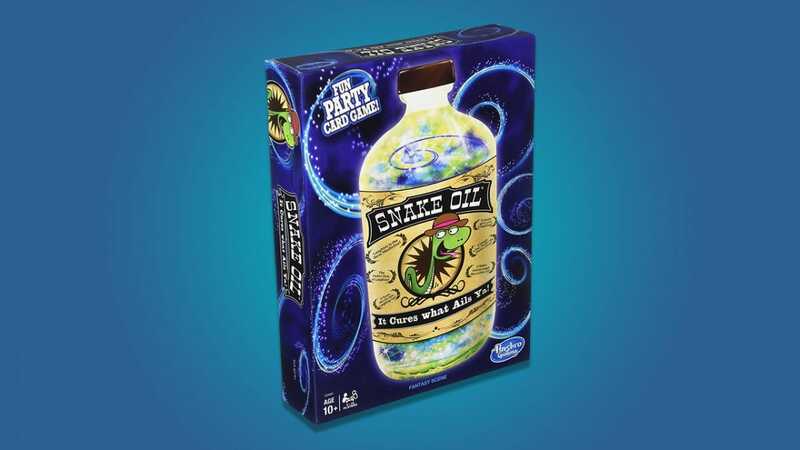 Snake Oil will help you find out if you’re a good salesperson. In this game, one player draws a customer card to determine who they are (such as “cheerleader” or “caveman”) and the other players have to pitch a product to them using a combination of two item cards in their hand. Depending on the items you have on hand, you may have an easy sale, like selling a beard brush to a caveman, or a really tough challenge like selling a “meat bicycle” to a cheerleader. So, channel your inner Alec Baldwin and get to selling. Uplifting stories of happily ever after have their place, but not in Gloom‘s world. This storytelling game follows in the footsteps of Edgar Allen Poe, or perhaps Lemony Snicket. In this game, each player controls a well-to-do, if miserable family. Your goal is to tell the most tragic, unfortunate story for each member of your family, leading to their inevitable, untimely demise. The cards you play each feature peculiar and alliterative events you can add to your family’s terrible tale, such as “Pursued by Poodles” or “Rattled by Rats,” on their way to their gloom. Er, doom. On top of the fun play concept, the game also features a really novel play mechanic. 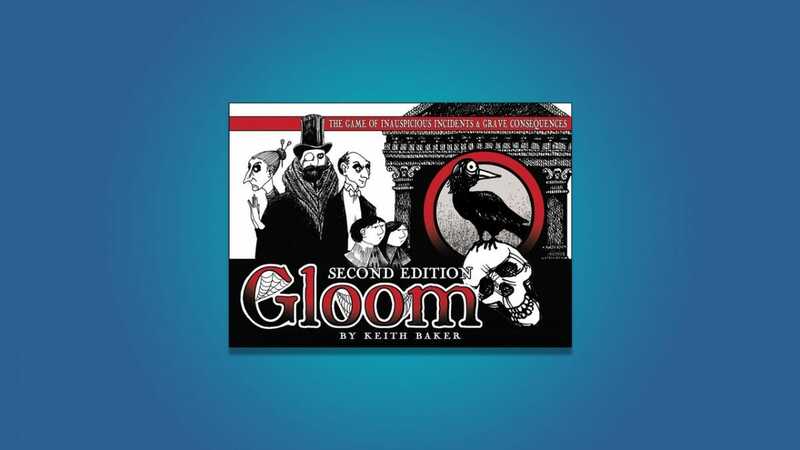 The playing cards that make up the Gloom deck are clear and played atop one another as the game progresses with the modifier indicating joy or despair layering over each other. We’re big fans of clever games with clever mechanics. 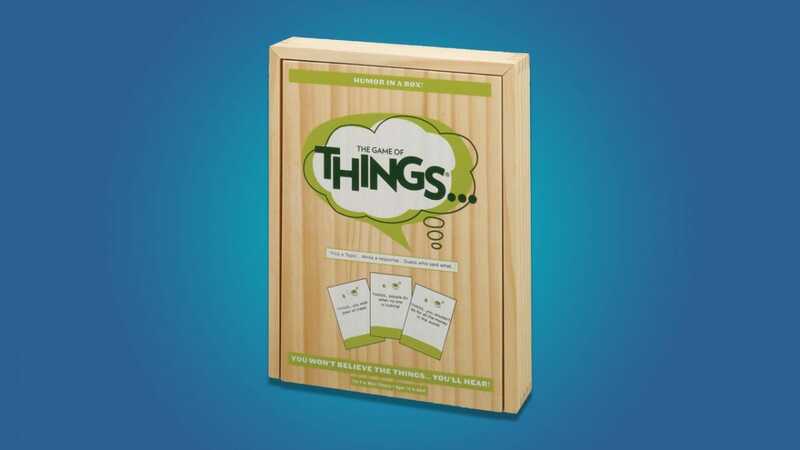 This creative question/answer game asks you to do the simple task of naming things that adhere to a certain description. For example, one player might draw a card that asks for “Things you shouldn’t do in an elevator.” The other players write down their answers and mixes them up. The group then guesses which player put in which answer. This game gets more fun the more the people involved can come up with creative or absurd answers. Don’t take the claims of headphone makers at face value. Use this playlist to test them out (and learn how to create your own playlist along the way).